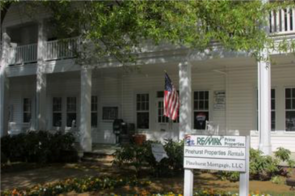 Pinehurst Properties Inc specializes in rentals in the Pinehurst area and is one of the oldest property management companies in the Village of Pinehurst. Pinehurst NC homes are some of the most sought after properties in Moore County and Fort Bragg areas. We have Pinehurst NC homes available for long term and short term rentals. Pinehurst Properties Inc is the most prestigious and experienced property management and Pinehurst rentals company in the area! If you are looking for Pinehurst rentals and/or Pinehurst NC homes for rent or purchase, call Jim Garrett today to see what is available in the Pinehurst and surrounding areas. Jim specializes in Pinehurst rentals and Pinehurst NC homes for sale or rent. If you see any homes in the Pinehurst area that interest you, Jim can show you all of them. 1, 2 and 3 bedroom homes and/or condos. Call Cyndy today for the property that meets your needs! (910)295-6144 Nightly, weekly and monthly rates available - just give us a call!